Undergraduate courses will be restricted to School of ICS and CSE majors only from 12:00pm, March 28th through 12:00pm, April 8th, 2019. Unauthorized students found registering in ICS courses during this period will be dropped. Undergraduate and Graduate students in the School of ICS have priority for seating in most ICS courses until 5:00pm, March 15, 2019. If a course is a core requirement for an ICS degree, first consideration is given to students in that major. If a course is a Specialization or Track requirement for an ICS degree, second consideration is given to students pursuing that Specialization or Track. If a course is a core requirement for a degree outside of ICS, third consideration will be given to students in that major following the schedule outlined on this page. Course prerequisites will be updated by February 22, 2019. ﻿CSE majors under the School of Engineering may contact ICS Student Affairs for assistance if attempts to register for upper-division CS courses or INF courses numbered 100-139 are unsuccessful. Major restrictions on most undergraduate ICS courses will be updated to a general "School of ICS majors only" at 5:00pm, March 8, 2019﻿.﻿ See the restrictions schedule below for additional information. Waitlists for eligible, undergraduate ICS courses will be activated on the first day of Spring quarter instruction, April 1, 2019 at 9:00am. Waitlist ineligible courses: All lower-division courses in the School of ICS, CS 131, CS 132, CS 142A, CS 145/145L, INF 191B. Non-majors may begin registering in ICS courses* starting 12:00pm on Wednesday, March 20, 2019. Any non-major found enrolled in ICS courses without permission before March 20th will be dropped. * Except CS 145/145L. This course will remain restricted to CS and CSE majors until the first day of Spring Quarter instruction. ﻿Student Standing restrictions on Upper-Division courses will follow the below schedule. *Except for those courses intended for upper-division standing students only, e.g., ICS 139W, INF 191B, etc. Waitlists on graduate courses will be activated at 12:00pm, March 11, 2019. ICS graduate students who wish to enroll in a restricted ICS course may contact an ICS graduate student counselor for assistance. ICS strictly enforces the campus Week 2 add/drop deadline (5:00pm, Friday, April 12, 2019). Non-ICS majors must wait until 12:00pm, March 20, 2019 to enroll or waitlist in ICS courses. No exceptions to this registrations schedule will be made. 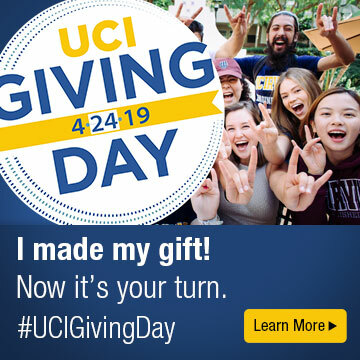 Graduate students wishing to enroll in an undergraduate course may send an email to ucounsel@uci.edu beginning March 15, 2019.